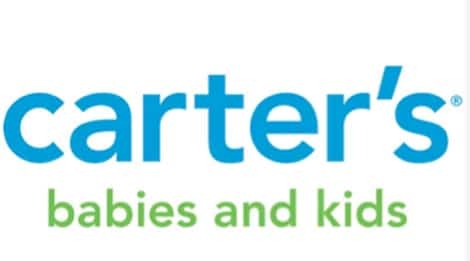 Carters has all the clothes you will need from the newborn stage to the big kid stage. Here at Carters Outlet, we find the Best deals on Carter’s gear for you. If you want your child to feel comfortable and really be a kid that looks great all the time, then Carters is the brand you should choose. Softness and comfort is their number one priority when it comes to their kids’ clothing. The prices you pay for carters are very affordable for any family and made with the most comfortable materials that you and your child will approve. Fun prints are added for that extra cuteness and awesomeness. A brand that’s chosen all the time by moms for over 100 years, you can trust this brand. The Carters types of pieces are very wide, they have Mix and match clothes that are easy for your child to choose from. Kids this age tend to be more independent and Carters makes it easy for them because they can easily match pieces of their choice that will be comfortable for wearing the whole day. Now you won’t have to worry about dressing your child. Cute and fun tops, long sleeves, tanks, long pants, shorts, polos, jeans, sweaters, Jackets, outerwear and many more options to choose from. The shirts are soft enough for them to wear all day and jeans and pants are tough enough for playing on the ground and protective enough for falls. Designs include for boys; stripes, plaid, camouflage, surf, monkeys dinosaurs, robots and for girls polka dots, stripes, flowers, animals, cherries hearts and much more for any kind of taste.